Global mobile roaming with guaranteed savings of up to 90% for employees on the go. 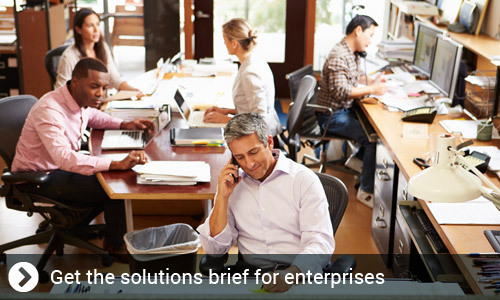 Global mobile roaming for employees on the go. 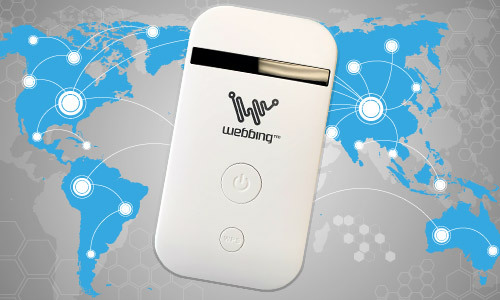 The Webbing Spot is a 4G/LTE mobile cellular router (LTE MF90) equipped with multiple global data SIM. It provides global Internet access to multiple travelers for one affordable price. Users can connect up to 10 devices simultaneously in 158 countries. Connect up to 10 locked and unlocked devices, including, laptops, smartphones and tablets. 8 SIM card slots for global coverage. 1 dedicated SIM slot for home country. Compact, lightweight (90g) mobile hotspot. No setup or installation required. 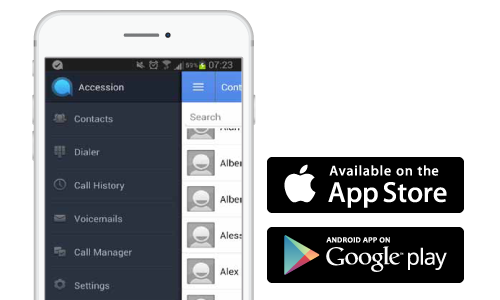 Accession Communicator, Telehop's app for mobile keeps you connected wherever you are. It's a fully featured soft phone that enables you to send and receive calls from any Internet connected device. 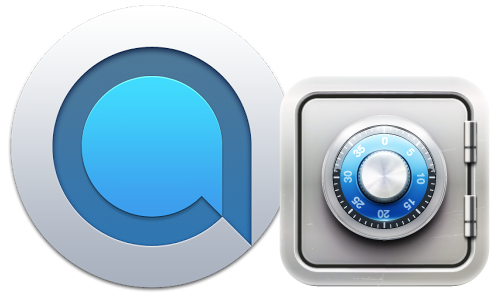 When team members are able to work from anywhere, Accession Communicator becomes an important part of your business continuity strategy, too. Contact us for more information on Accession Communicator and learn how to boost your team's productivity today.